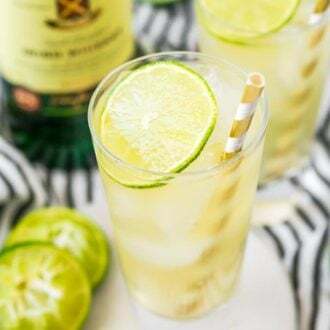 This Irish Mule Cocktail is a bright mix of smooth Irish whiskey, zesty ginger beer, and tart lime juice and it’s sure to make you want to dance this St. Patrick’s Day! 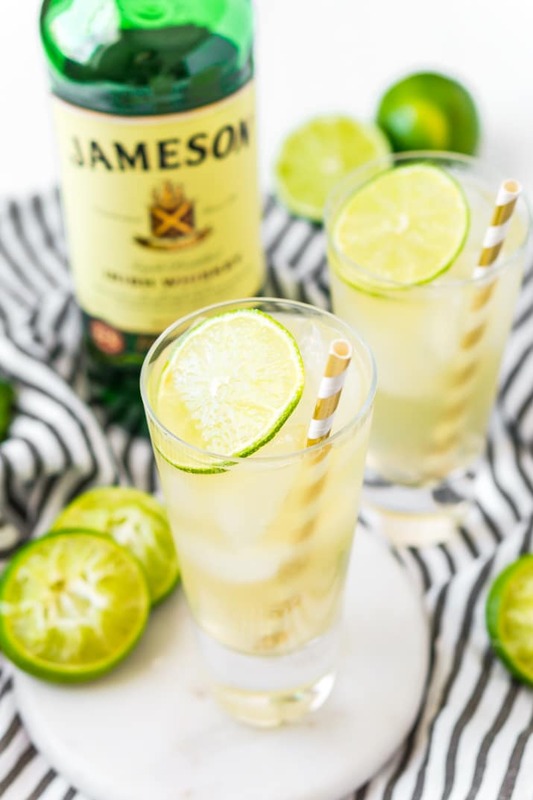 This Irish Mule is a refreshing whiskey twist on the classic Moscow Mule cocktail, also known as an Irish Buck, Dublin Mule, or Jameson Mule. 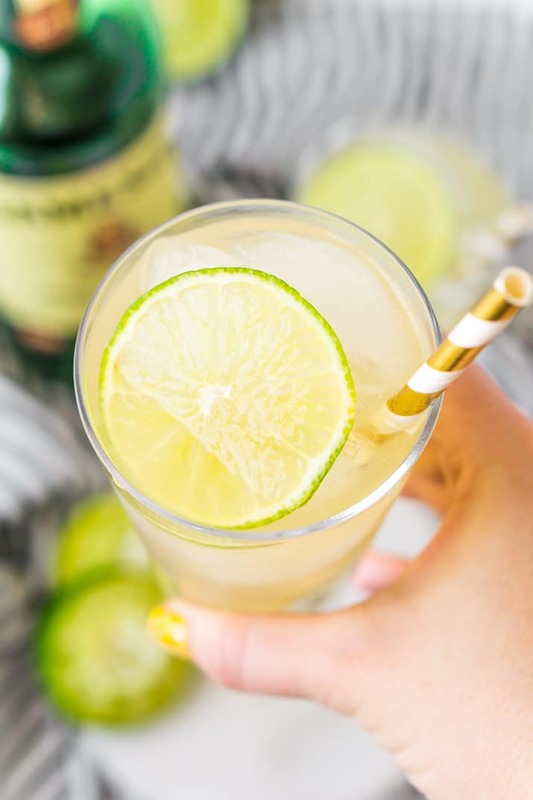 It’s a simple 3-ingredient cocktail that’s perfect for St. Patrick’s Day! So since I’ve been on Weight Watchers (about three weeks now), I’ve only been drinking water. But when we went to a wedding last weekend, I splurged a little and got to enjoy a few cocktails. I decided to try out a new-to-me cocktail at the wedding, an Irish Mule. 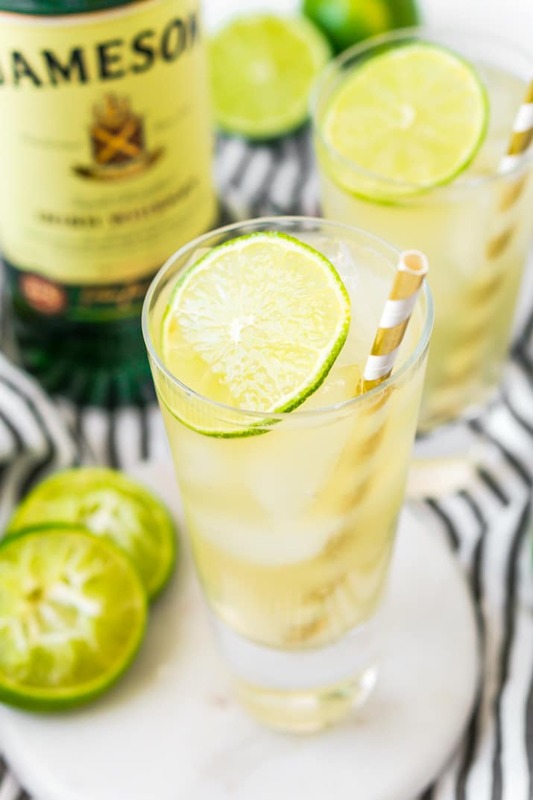 The Mule/Buck family of cocktails are pretty basic, they have a base spirit paired with ginger ale or beer and a splash of citrus. What Is An Irish Mule? The most popular of the Mule/Buck family is probably the Moscow Mule with a vodka base, but it’s time for it to let some of the others shine. 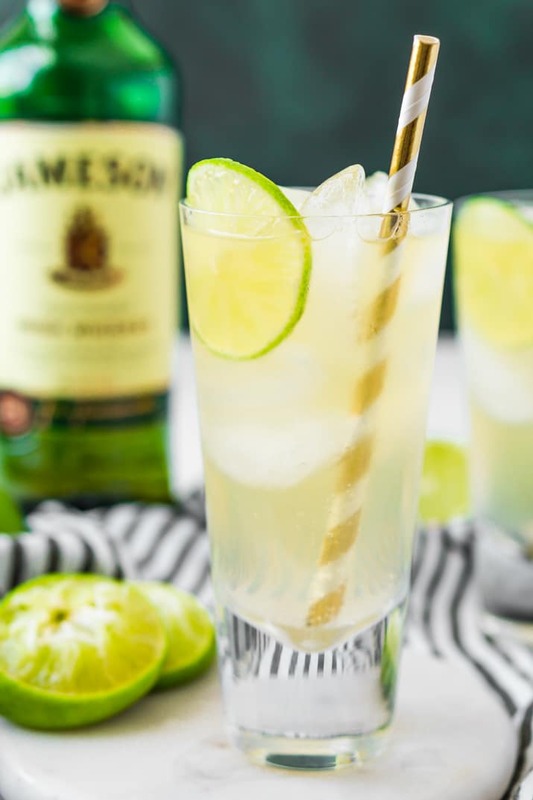 This Irish twist swaps that traditional vodka base for one of Irish Whiskey. But it still has the same vibrant lime juice and bite of ginger beer that you’re used to. 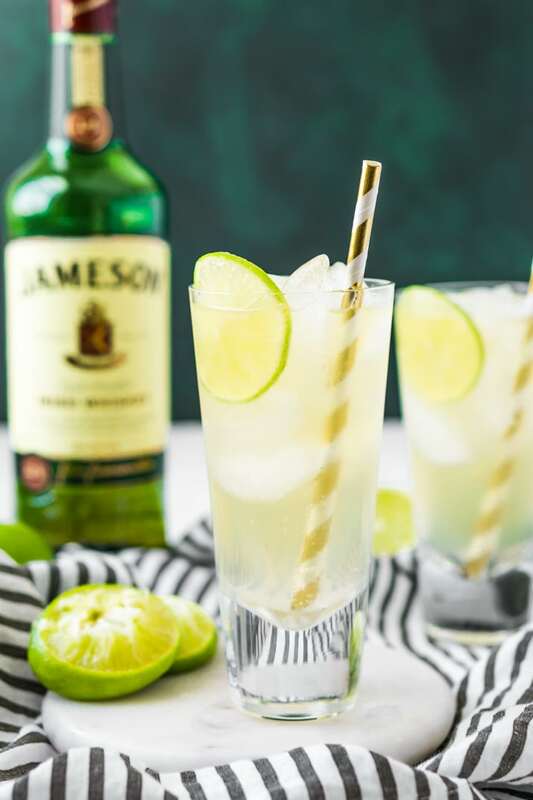 With just three ingredients plus ice, this makes for an easy St. Patrick’s Day Cocktail or something simple you can whip up when you just feel like unwinding after a long week. As soon as I had one, I was hooked. This is definitely my new drink of choice when I’m out. It’s simple, it’s flavorful, and it makes me hilarious. An Irish Mule Will Get You Dancing! Okay, so about that hilarious part. The day of the wedding was a little bit crazy, I did eat breakfast but hadn’t eaten anything else since. So having a bourbon and coke and two of these during cocktail hour (the bartender was pretty generous with the Jameson by the way), put me in my happy place pretty fast. Matt made me eat a bunch of crackers before I could have my second one (he’s always looking out for me) and he made me wait until dinner for my third. And now I sound like a total lush… but I’m really not, promise. Okay, so back to that hilarious part. At one point, probably about the time I ordered that third one, Matt told me I was one drink away from being unconscious and cocktail hour wasn’t even over with. So I texted him, even though he was standing right next to me, and said: “I’m not one drink away from being unconscious, I’m one drink away from being hilarious!”. He laughed and told me I was cute. An Easy And Delicious Cocktail For Any Occasion! Needless to say, he still made me wait. But this little round of cocktails was just what I needed to unwind from a less than stellar week and get my dance on all night long, in four-inch heels mind you! So maybe you didn’t find that story that hilarious, but in my “three drinks in” mind, it was pretty funny. Either way, this is a great cocktail made with simple ingredients that is super easy to make right at home! So get on it and get dancing! You can also serve this cocktail in a mule mug if you’d like, but since there’s no vodka in the recipe, the mug doesn’t have the same impact on the flavors of the drink, so a traditional tall glass will work just as well. This is a really easy cocktail to make and requires minimal effort. Just follow these simple steps and you’ll be sipping this drink in minutes! You’ll begin by filling a tall glass about 3/4 of the way with ice, feel free to also add a lime wedge or two. Next, you’ll pour the whiskey and the lime juice over the ice and stir. Then, you’ll pour in the ginger beer. Finally, you’ll garnish with a lime wedge or slice and serve. If You’re Looking for My Irish Doe Recipe, it’s below! This post was originally published in November 2014 and was updated with new photos in February 2018. I was trying to pull up the Irish Doe cocktail , apparently for whatever reason you have removed it . Fill glass with ice, add whiskey, PAMA, ginger ale and lime juice and stir.